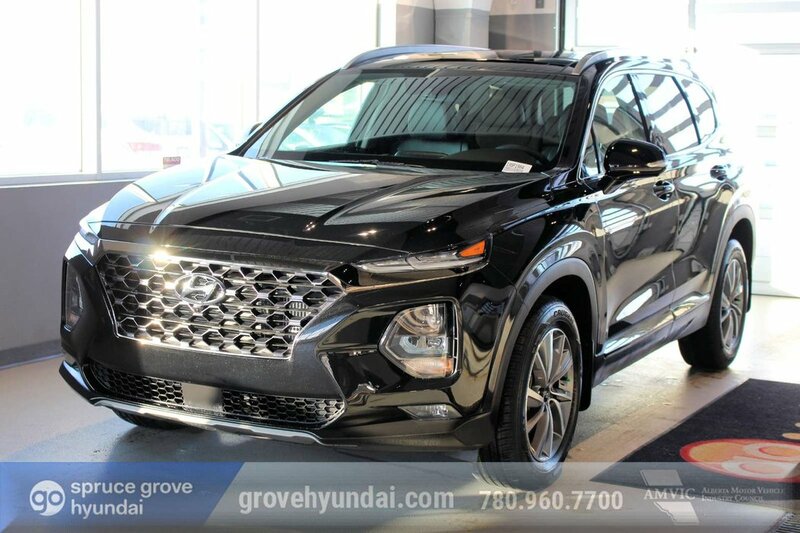 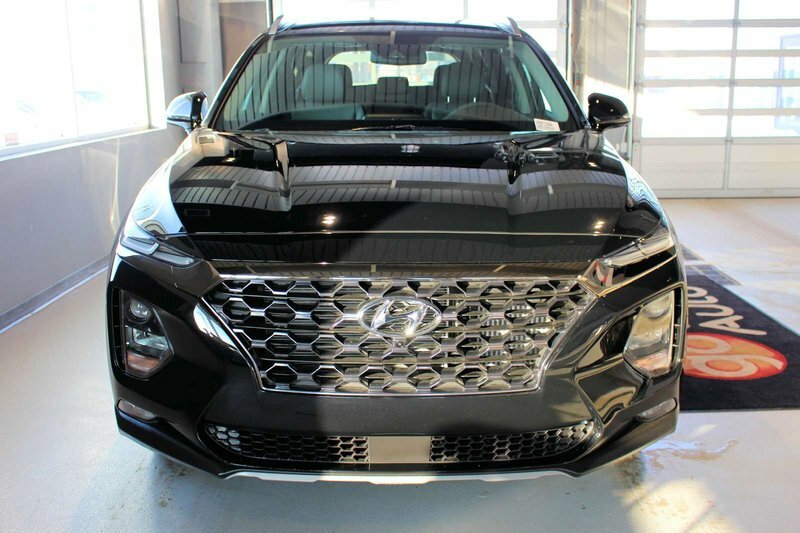 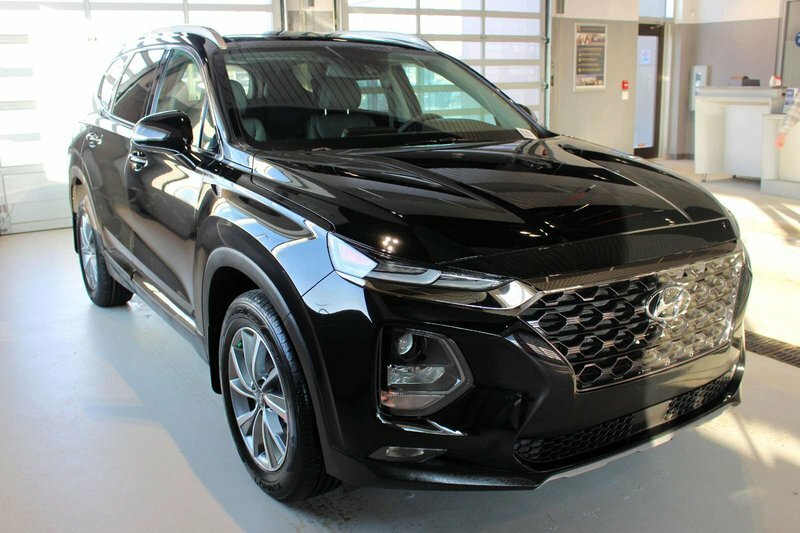 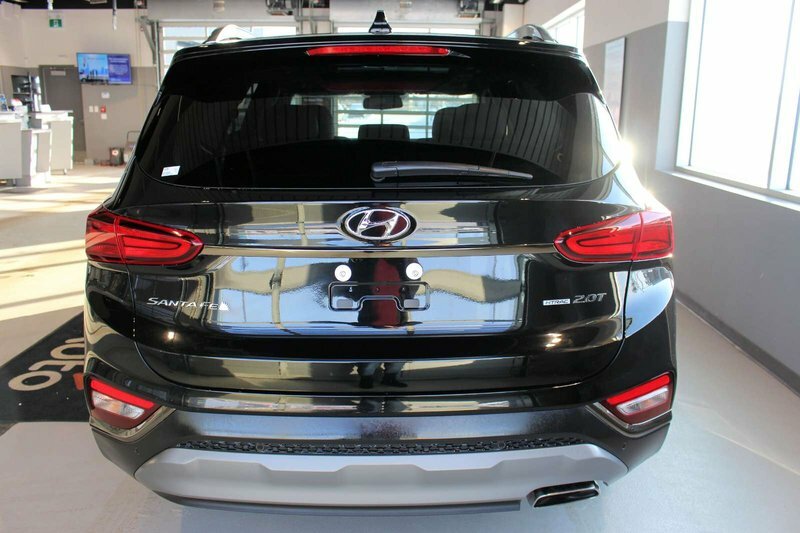 Turn heads with bold sophistication in our 2019 Hyundai Santa Fe 2.0T Luxury AWD that's merely sensational in Twilight Black! 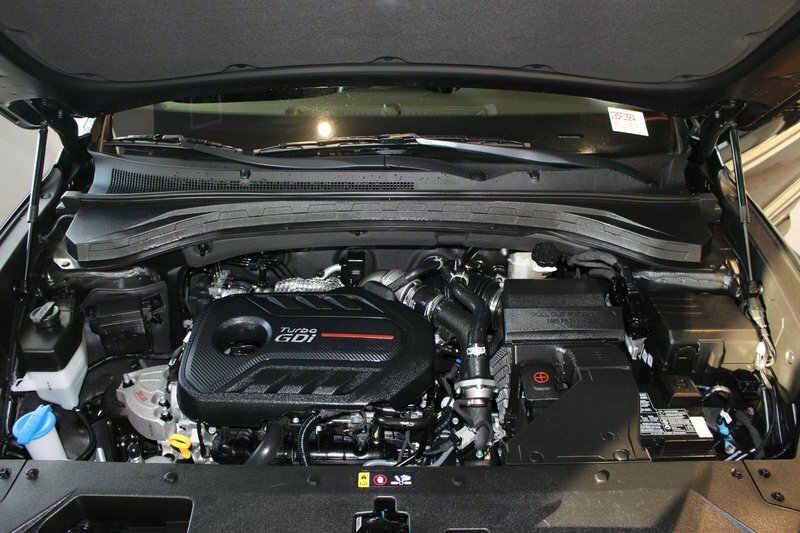 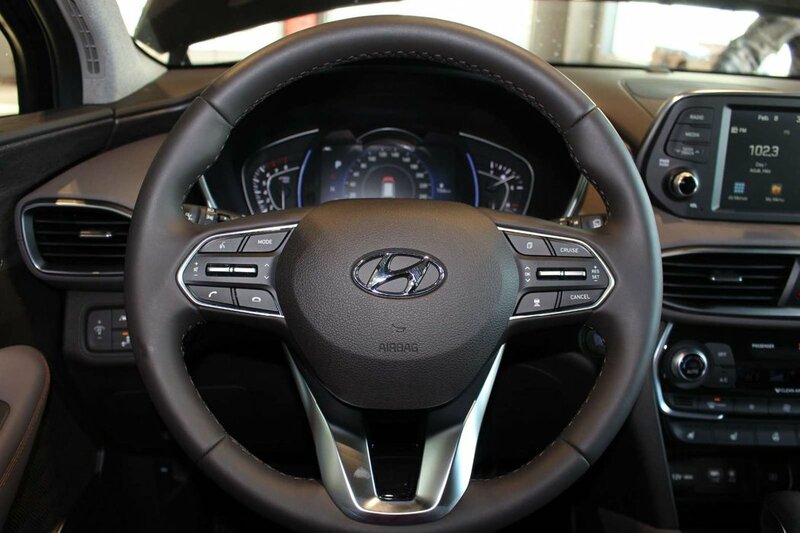 Powered by a TurboCharged 2.0 Litre 4 Cylinder that offers 235hp while connected to an 8 Speed Automatic transmission with Shiftronic that features an Active ECO system. 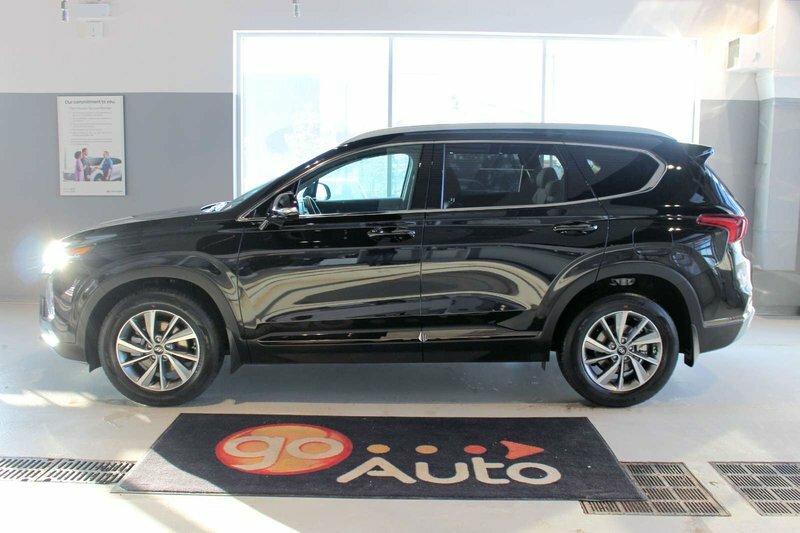 You'll enjoy near 9.8 L/100km on the open road with this All Wheel Drive and have the ability to choose comfort, standard, or sport steering modes dependent upon your mood! 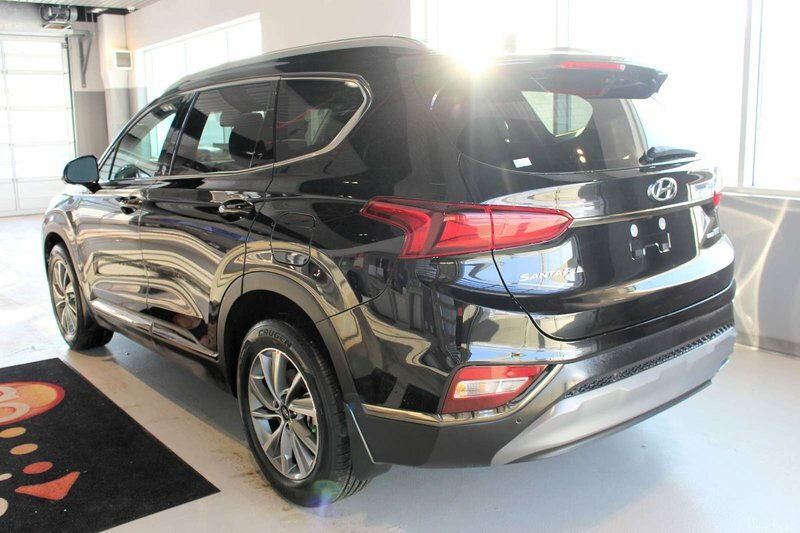 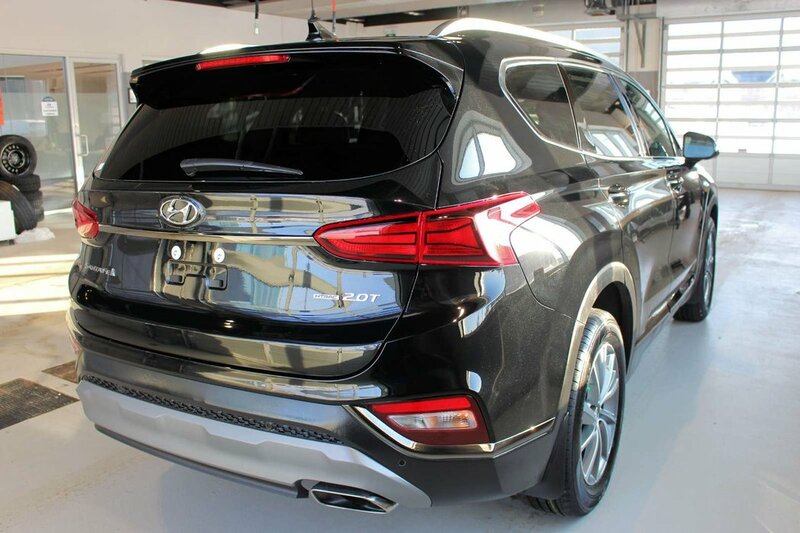 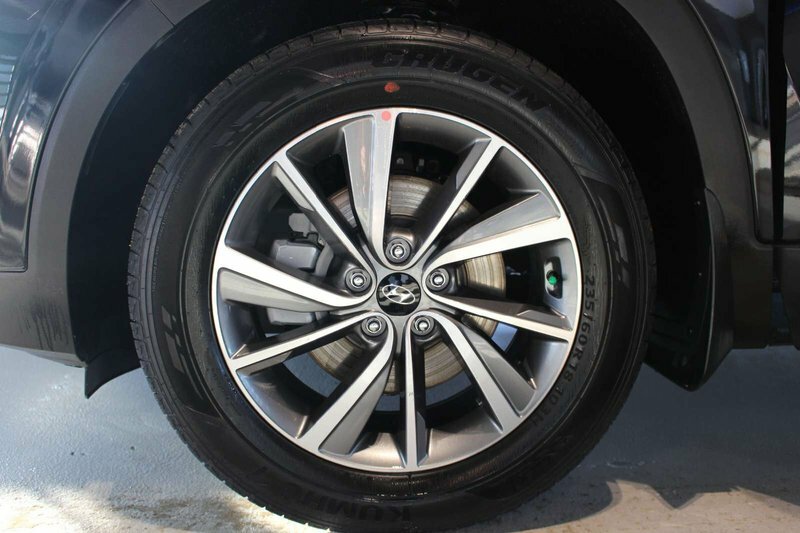 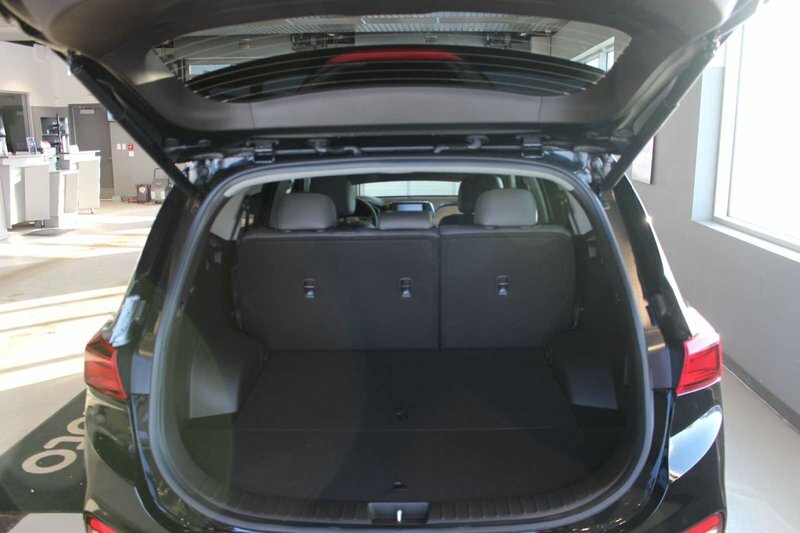 The sleek styling of our Sante Fe is enhanced by a smart power lift-gate, LED daytime running lights and aluminum alloy wheels. 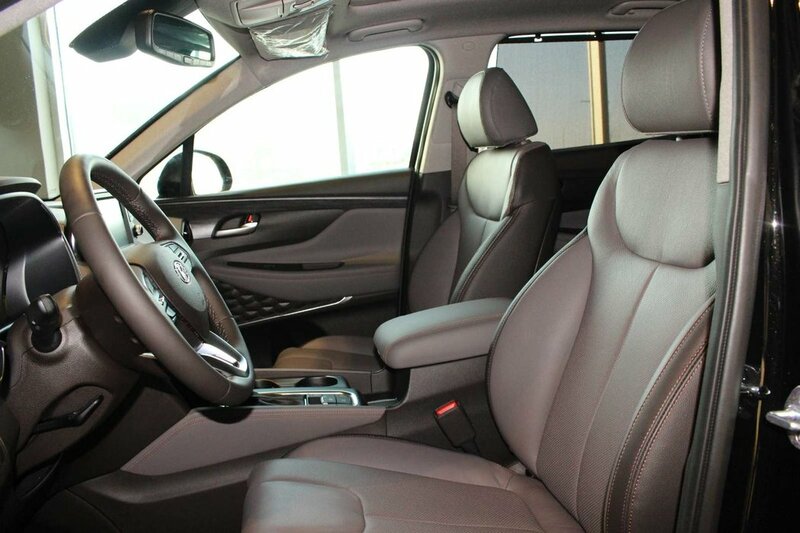 That masterful Luxury design continues inside the versatile leather-trimmed interior that's ready to keep up with your demands. 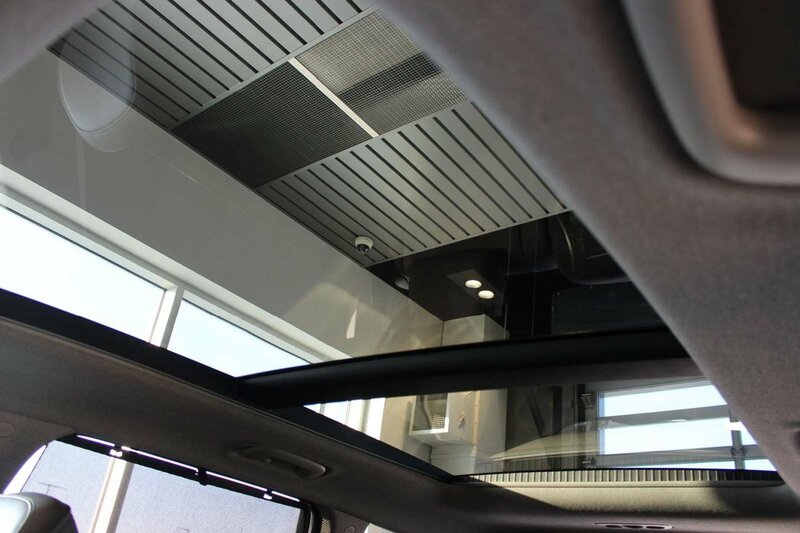 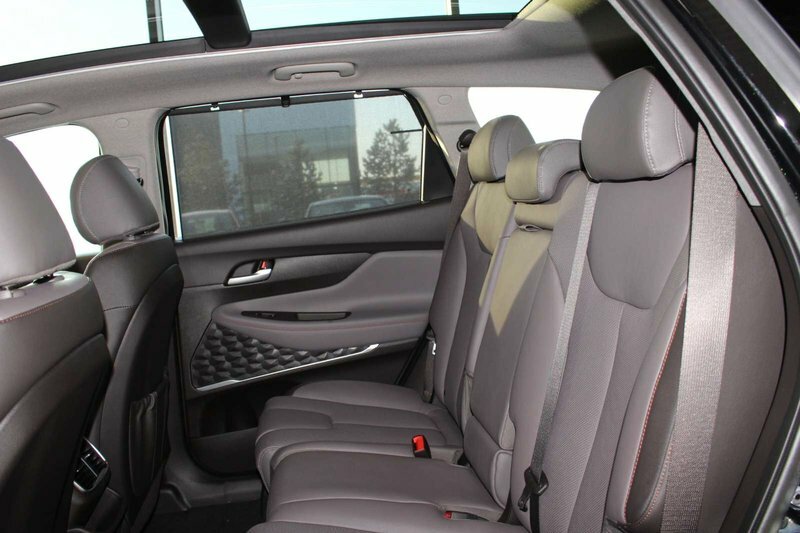 Look up at the panoramic sunroof, and settle into your heated/ventilated power-adjustable driver's seat while gripping the heated steering wheel. 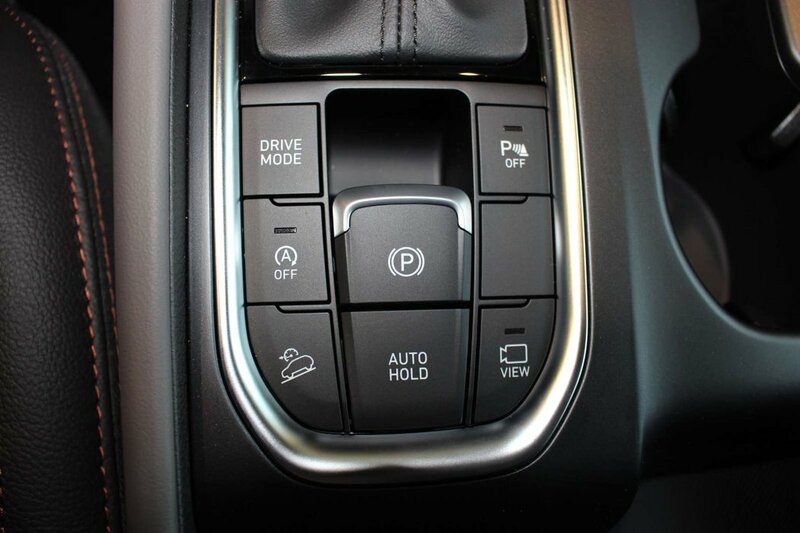 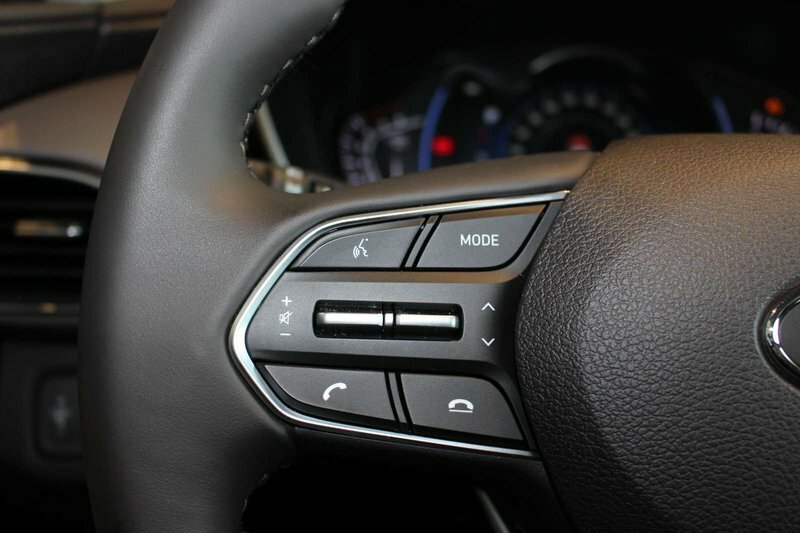 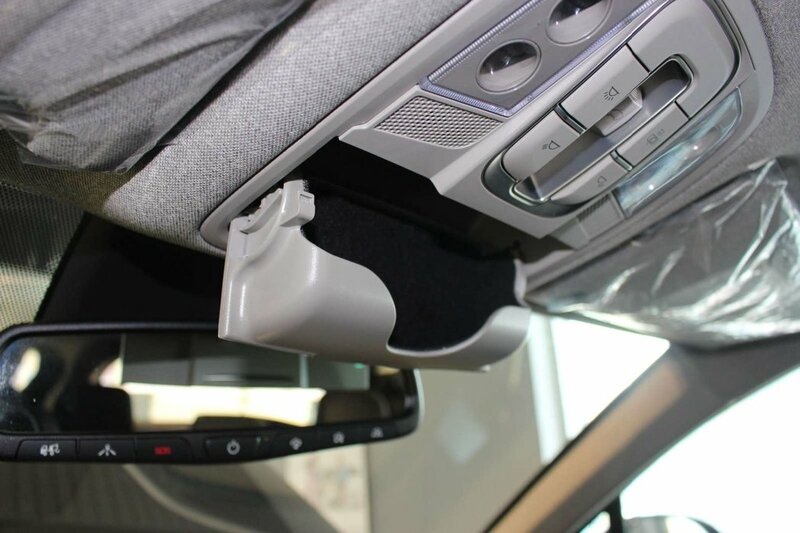 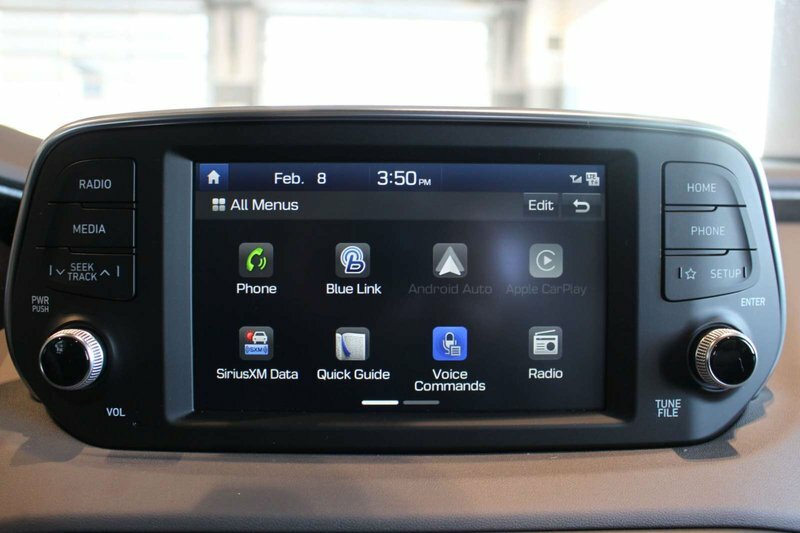 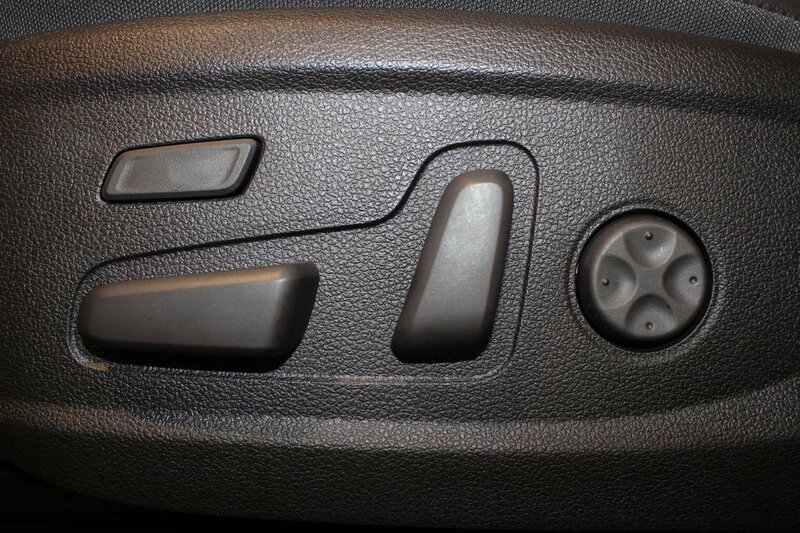 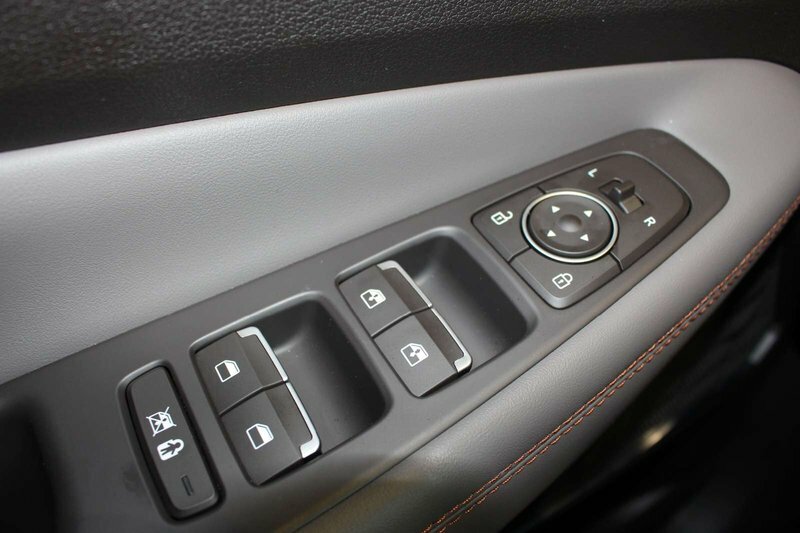 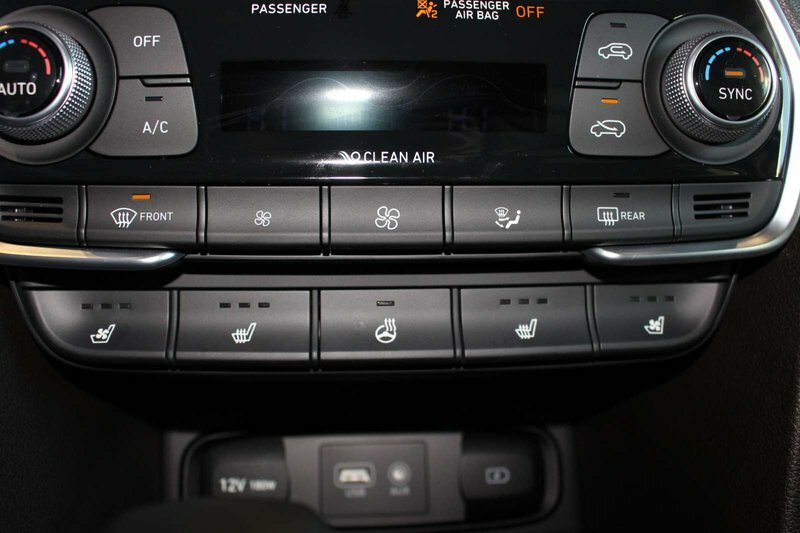 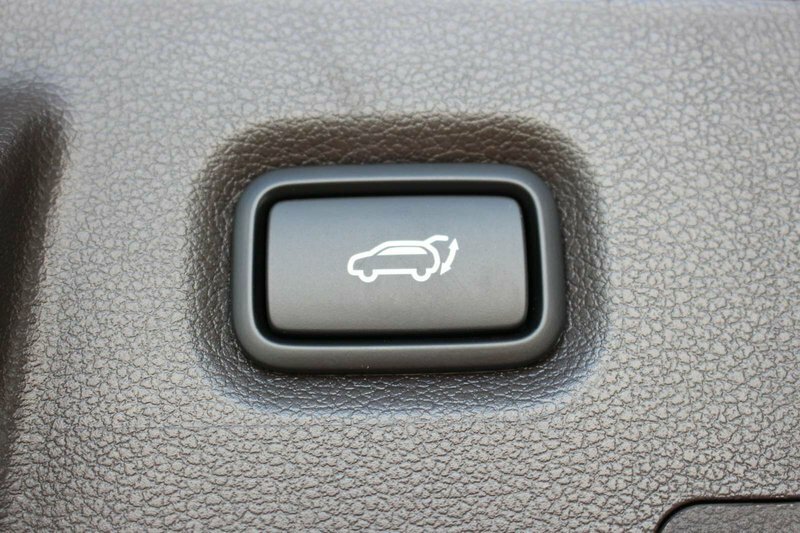 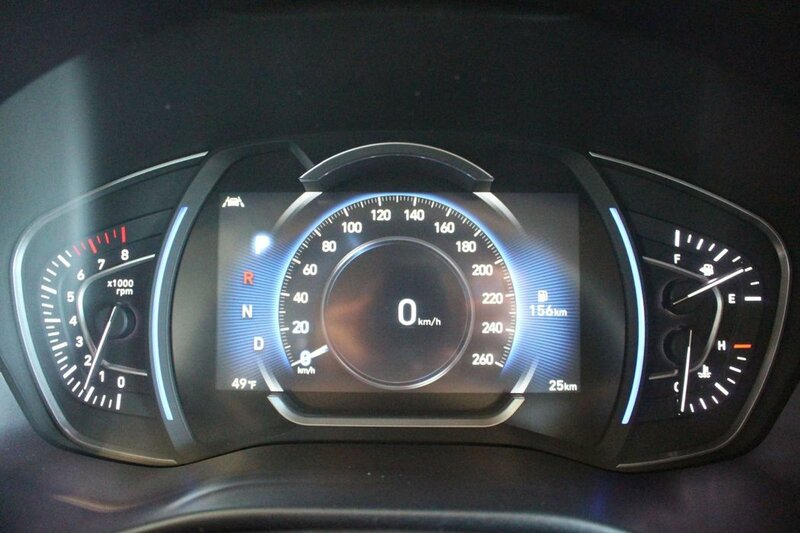 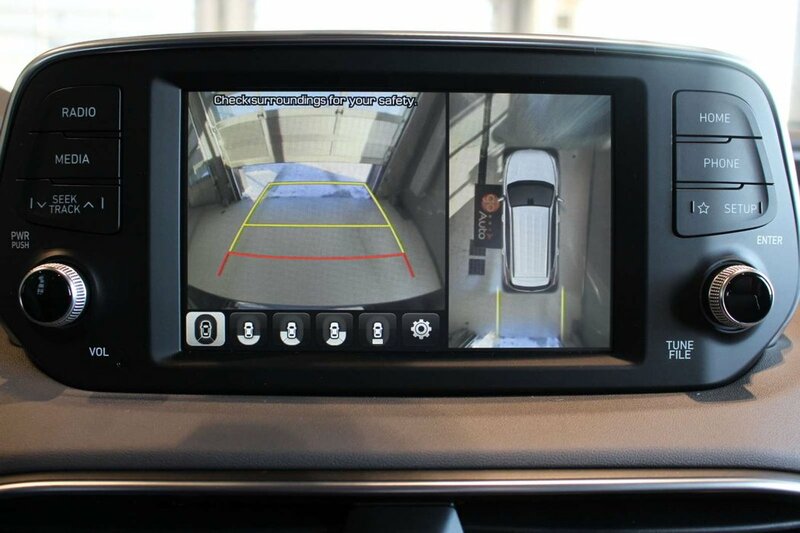 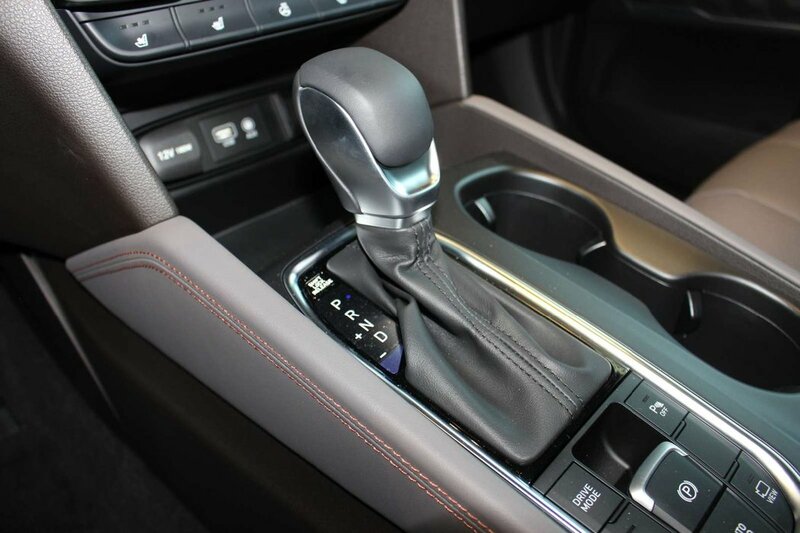 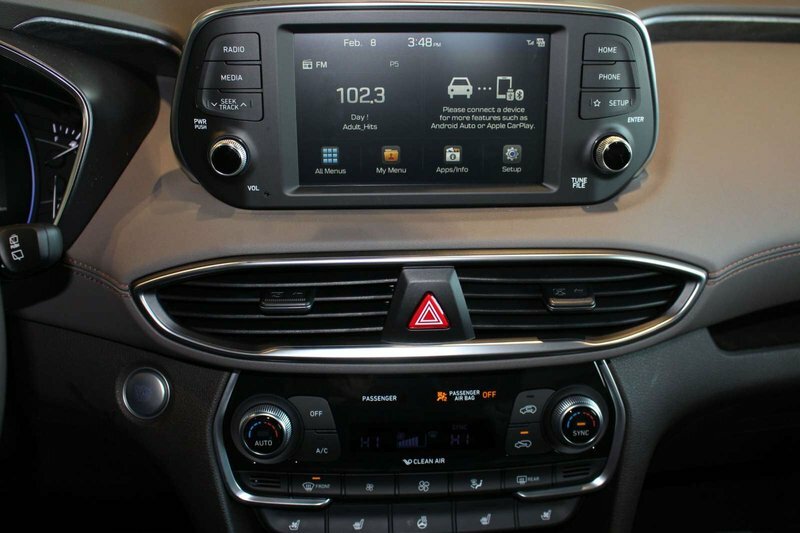 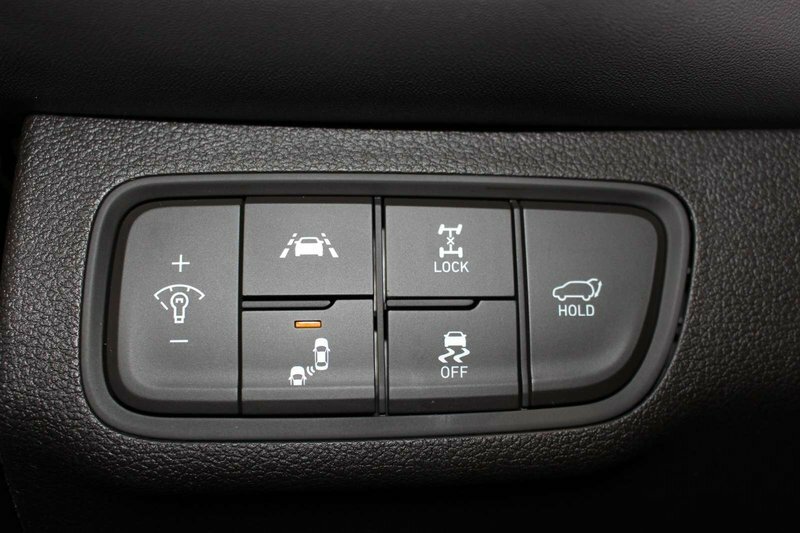 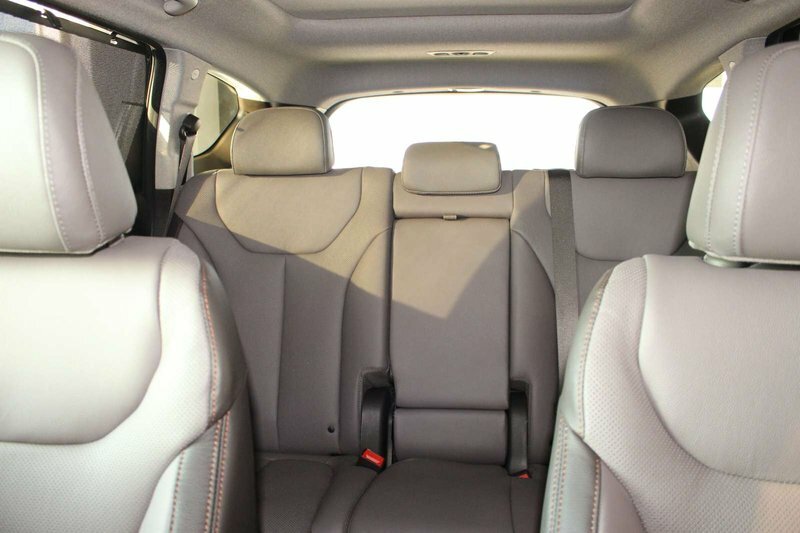 You'll appreciate push-button start, power accessories, dual-zone automatic climate control, and an LCD. 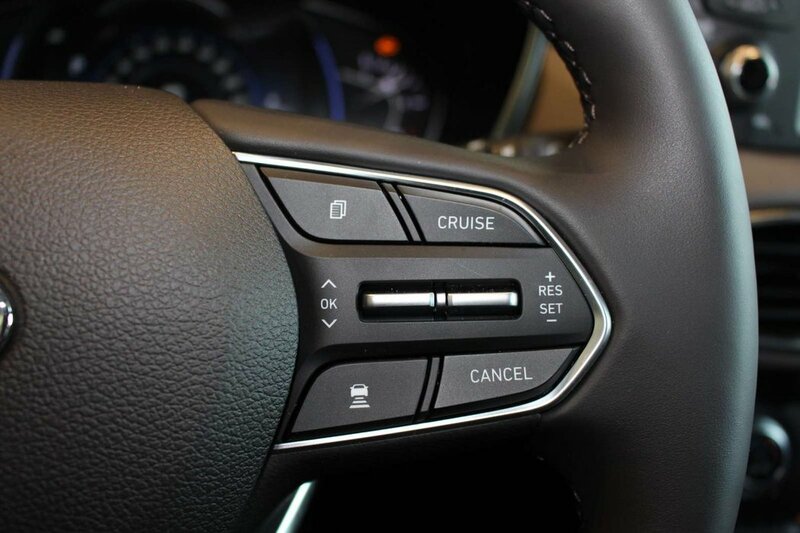 Staying safely in touch and in-the-know is a breeze thanks to Bluetooth, touchscreen Navigation, steering wheel audio controls, and Infinity Premium audio.